I can’t believe we have already made it to week 35. 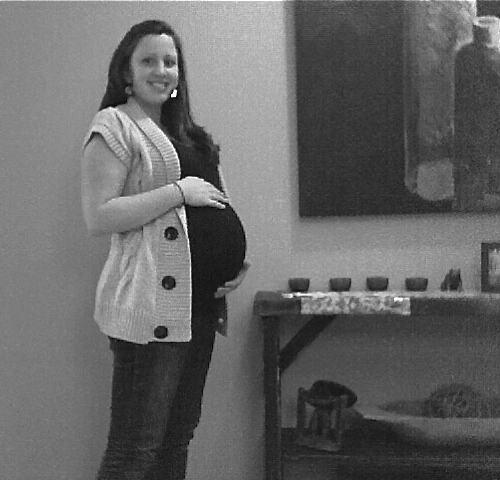 This pregnancy has flown by! Sorry for the lack of “belly” pictures for your scrapbook. Since I’m chasing your brother and sister around all day, I don’t have much time to think about taking pictures of my growing belly for you or journaling about the pregnancy. 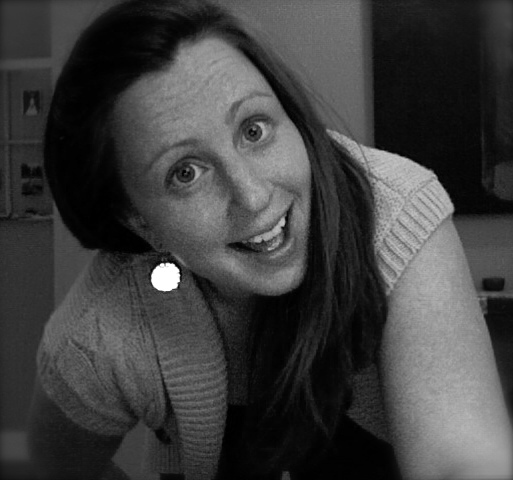 I captured a few pictures tonight on Photobooth since no one was else was around to take them for me. I’ll try to remember to ask your dad to take a few real pics before your arrival so you can see how big you and I are getting! This pregnancy has been pretty easy. Praise God! I had a great check up last week and everything is as it should be. In fact, you are in position and I have already dilated 1cm! Doc says you are welcome to come any day, but we all hope you keep bakin’ for a few more weeks. 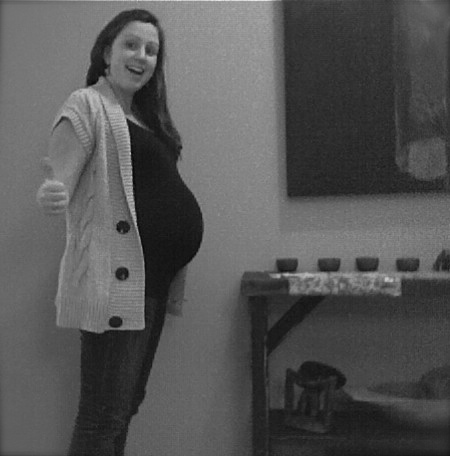 One thing I will remember about having you in my belly is how much you move! You are always kicking and dancing and making my belly shake. I love it! It’s as if you are constantly reminding me that you are in there! Nash adores you already and can not wait to meet you.I love how he whispers to you, kisses you, and tells me that you think he is really funny (is that true?). He still insists that your name is Baby Fox…but I think your dad and I have finally agreed on a name for you. I can’t wait to see if you are a girl or a boy! People ask me all the time what I think you are…and I really have no idea! I love the surprise and anticipation of getting to meet you! Your Mimi and dad got your room ready this past week while I was in Texas for a meeting. Your sister is moving into Nash’s room where he now has a bunk bed (he LOVES sleeping on the top bunk!) so you can have the nursery all to yourself. You will love it! You’ve really been a trooper letting me run around and be crazy these past few weeks. I don’t have much time to rest these days with Nash and Evyn needing me, preparing for the big Passion 2011 conference 2.5 weeks after your arrival (yeah, mama’s stressed out! ), and all the changes with your dad’s new job and trying to sell our house. Lots going on in our world, but we are excited to welcome you in to chaos! You are going to be such a sweet blessing and addition to our family! We are already madly in love with you little one. What a sweet letter. 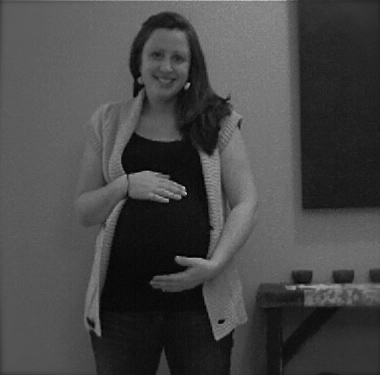 You’re lookin’ cute, Em–can’t believe baby V-Tanz #3 is almost here! So excited for your family and I can hardly stand the suspense of not knowing whether Nash and Evyn are getting a brother or a sister!